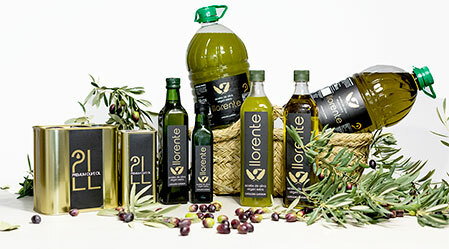 The quality of Aceites Llorente is a direct result of its process of obtaining. 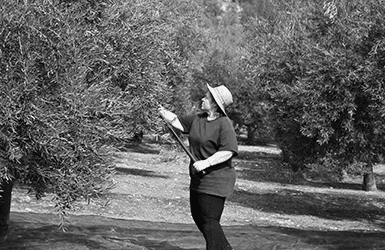 We are directly involved in the care of the olive grove and in the collection. We guarantee that the olive is ground the same day it is collected. Only in this way can we guarantee the final result: an extra virgin olive oil of excellent quality and its own personality. The harvest of the olive is done with great care, always choosing the suitable zones at any time depending on the maturity and doing the least possible damage to the tree. The olive is always flying, that is to say, when the tree falls it does it on bales (grating blankets) to cushion the blow and do not touch the ground. 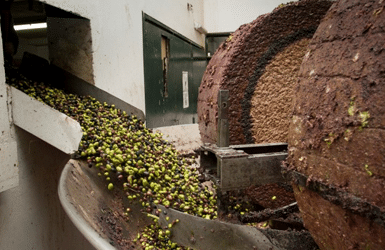 After the extraction of the leaf, the olive is pressed. 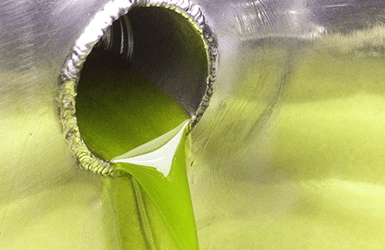 The juice of the oil is obtained in cold, only by mechanical procedures, including the treatments of washing, decantation, centrifugation and filtration. After the oil is stored in stainless steel tanks, it is bottled on request to keep as fresh as possible when it reaches the consumer. Only in this way can we ensure the year of preference for consumption, without altering the characteristics of the oil. than Extra virgin olive oil of excellent quality and its own personality.